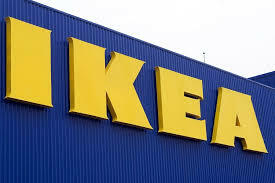 The world’s largest furniture store chain IKEA will set up a huge store in Gwangmyeong, Gyeonggi Province in 2014. 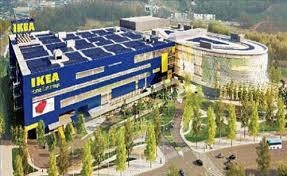 IKEA Korea won a bidding by the Korea Land & Housing Corporation for a 78,198 sq. m plot for W234.6 billion (US$1=W1,159) on Tuesday. Unlike in most Western countries, where IKEA is cheap because customers have to pick up their goods and assemble them themselves, the store here will provide delivery and assembly services through a subcontractor, a spokesman said. “The Gwangmyeong store is expected to open in 2014, but we’re also looking for another candidate site in the Seoul metropolitan area, so the first IKEA store in Korea may open somewhere else,” he added. The Swedish company will set out to build the store and open it by the end of 2014. As the US$36-billion behemoth moves into the market, Korea’s furniture retailers are already fretting that they would soon be wiped out by the super-efficient retailer. IKEA’s Gwangmyeong location near the KTX station will be built in a 78,198-square-meter site with a total floor area of 25,759 square meters. Established in 1943 by a 17-year-old Ingvar Kamprad who is now one of the richest people in the world, IKEA has today 338 stores across 40 countries worldwide. By targeting young families based on the strength of low prices and smart design, the company has grown into the world’s largest furniture seller. Major homegrown furniture brands such as Hansaem and Livart are saying they would respond to the attack of IKEA with a differentiation strategy, including the reliance on online sale. Still, there is little defense against the low-cost retailer whose average selling price is 20 to 30 percent lower than Korean competitors. 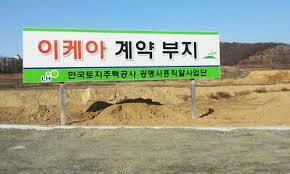 This entry was posted in Facts about South Korea, News, Tourism and sights by admin. Bookmark the permalink.